Standard Chartered has named Vivian Chan to succeed the retiring Desmond Liu as head of its private banking operations in Greater China and North Asia. 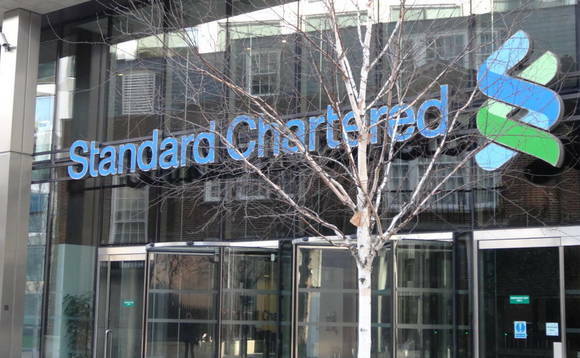 Chan, who will take over from Liu in January, will be responsible for leading Standard Chartered’s private banking team and growing the business in the region, with a strategic focus on the Hong Kong market, which the bank sees as “a core global wealth hub”, Standard Chartered said. Liu’s retirement comes after four years in the role as head of Greater China and North Asia, and more than 30 years in the private banking industry. Chan comes to Standard Chartered from Barclays, where, since 2013, she has been regional head of North Asia, Private Banking. Prior to this, she held senior roles at Credit Suisse and Citibank, and altogether has had more than 30 years of experience in “building businesses and managing ultra-high-net-worth client relationships”, Standard Chartered said. Standard Chartered from Barclays, where he most recently was in charge of that bank’s southeast Asia, global south Asian community and African offshore operations. He will be based in Singapore. As reported, UK-based Barclays has been selling certain overseas operations, including its Asian wealth and investment management business, as part of an ongoing drive to reduce the scale and risk level of its operations. Although its parent is based in London, Standard Chartered Private Bank is headquartered in Singapore, and operates out of 11 offices – including two trust offices – across Asia, Africa, Middle East and Europe. It was launched in May 2007, and acquired American Express Bank Ltd in 2008. Standard Chartered Plc is listed on the London and Hong Kong stock exchanges as well as the Bombay and National stock exchanges in India. It employs around 84,000 globally.